Imagine if the state of California passed a law that stated that children born with blond hair get 14 years of free, taxpayer-funded, public education, while children with other hair colors only get 13 years. We know what would happen next – the public response would be swift, with protests throughout the state. The public wouldn’t stand for such arbitrary discrimination against a group of our students. Legal action would be threatened. The pressure on lawmakers to reverse such a law would be enormous. Does this sound far-fetched? Maybe, but we have a law on the books right now that essentially does the same thing, just using a different arbitrary characteristic rather than hair color. This is the law that enacted Transitional Kindergarten. The Kindergarten Readiness Act of 2010 changed the date to September 1 by which children must be 5 years old to enter kindergarten. In addition, it created a new program, called Transitional Kindergarten, which requires (and funds) an extra year of free, public schooling for children whose 5th birthday falls between September 2 and December 2 – those children who, under the old law, would have been eligible to attend regular kindergarten. These children have the opportunity to attend a year of transitional kindergarten, followed by a year of regular kindergarten. So, effectively what happened is that kids who are lucky enough to be born in September, October, or November are eligible to get 14 years of taxpayer-funded public education (K-12 plus one year of transitional kindergarten), while students born in any other month only get 13 years (K-12). There is nothing fundamentally unfair in changing the cutoff date for starting kindergarten – we have to pick some date on the calendar. It is of course inherently arbitrary, but it is also not unfair. The objectionable part of the law is the addition of an extra year of schooling for some kids and not for others. It would be laughable to argue that kids born in just those three months are at a disadvantage to learn compared to those born in other months, and therefore need an extra year of school, nor could it be argued that it is somehow in the state’s larger interest to do so. Despite what appears to be a serious flaw in the Transitional Kindergarten law, I have hesitated to write such an article over the last few years for fear that we collectively would have put political and/or legal pressure to have the law overturned. I guess I figured getting 25 percent of students an extra year of education is better than none. I have always advocated for making at least two years of preschool free and part of our public school system, so I feared that any early backlash to the law would set back the movement in this direction. However, given that Transitional Kindergarten is firmly entrenched in school districts (and at least in our district, has been a wildly successful and impactful program), I now find it politically unfeasible for the state to take this away. Rather, faced with the apparent unfairness, the state should do what it should have done in the first place, which is make the program universal for all students. There have been some attempts to extend transitional kindergarten to all students, and some districts have explored doing it on their own with partial support from the state. The state has now agreed to pay for TK students who turn 5 after December 2 to enroll in a transitional kindergarten program, but to start only paying districts for the days they are in attendance after they turn 5. Despite most educators’ knowing the value of a universal preschool program, this is a conundrum for districts. A school district can allow students to enroll in the transitional program after they turn 5 – sometime after December 2 – but that could be unworkable from a logistics and pedagogical viewpoint, and still inherently unequal. Districts could also decide to cover the cost on their own for educating younger transitional kindergarten children while they are just 4 years old. That, however, would divert resources the district has to serve students it is mandated by law to serve. So, as a practical matter, districts (including ours) will likely choose not to serve children who turn 5 after December 2 until the following school year, when they can enter regular kindergarten. Many educators also argue that allowing all 4-year-olds into Transitional Kindergarten would be inappropriate because it wasn’t designed for a full-year age span of students. But of course the curriculum could be modified to be appropriate for the whole cohort. What is shocking to me is how little the discriminatory nature of this program has been discussed. All it takes is a few disgruntled parents and some enterprising attorneys to apply serious political pressure and threaten legal action. The legal issues here are complex, and I recognize it is far from certain that a court would agree that the Transitional Kindergarten law amounts to illegal discrimination. However, there may certainly be legal issues, and rather than risking that path, state legislators could act now to require and fund a universal preschool program that would just be part of the existing public school system and open to all children (including funding for school districts for appropriate facilities to support it). It is unclear if the state will be forced to do so at some point, but certainly this would be the right thing to do to benefit all of our children. 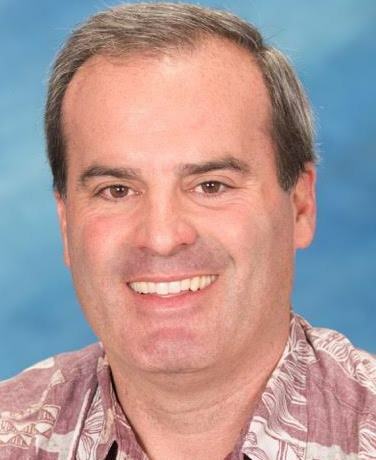 Seth Rosenblatt is a member of the governing board of the San Carlos School District. He is also the past president of the San Mateo County School Boards Association. He has had two children educated in San Carlos public schools. Until the State of California chooses to use “excess” Tax Revenue to adequately fund K-12 public education, the State has no business funding anything else including Adult Education, or transitional K or pre-school. Parent is correct. I agree very much with Seth about committing to offering free preschool for all kids. The date cutoff for TK always seemed goofy to me, and in small schools, there often aren’t enough kids to fill a class – statistically any elementary that isn’t already running four kindergartens is going to be in that situation – so they’re just getting an optional extra year of kindergarten, as was possible before with the earlier date cutoff and the option to retain. I think it’s a mark of laudable intentions to save the preschool funds only for low income children, but I think there’s an unexpected side effect that then segregates lower income kids and families from higher income kids and families, to the detriment of both. The lower income kids benefit from the resources and energy that higher income families can offer; the higher income kids get access to preschool (private preschool can cost more than college!) and to a wider variety of friends and acquaintances. An additional factor is that in rural Title 1 environments, there may not be enough middle/high income kids to even make up a private preschool class. I don’t see the value in the state spending funds on TK when it is not adequately funding the K-12 system. TK has not been shown to have an enduring benefit to the child. Funds would be better spent on improving the kindergarten experience for all children. This is important. We need to instill in children early that you read novels instead of watch TV, love to read, love math, listen when teachers talk, and study long hours over wasting time once you’re in middle and high school. If we can achieve this and internalize pride in grades, a sense of moral obligation to do one’s best and a love of reading, it will save us money in K-12 in the long run by reducing the achievement gap, reducing behavioral problems, and increasing future taxable income. With all due respect to former Senator Simitian, who was a champion for education, the concept of Transitional Kindergarten was not thought out well. Because of the low percentages of students who are eligible, and the need for school districts to fill classrooms to capacity for financial reasons, the net result is that these TK students are right back in the classrooms with kindergarteners: the class is just now relabeled as a TK/K combo. Rather than quickly rush to create universal pre-K with new, arbitrary cut-off dates, I would encourage the folks in Sacramento to take the time to think about what the goals are and what could be put in place to reach those goals. Rather than judge children solely based on their birth dates, let’s treat them as individuals and recognize that not all children have the same needs. For example, it might make a lot more sense to provide pre-school for disadvantaged children (e.g. EL, LI and foster youth, as recognized in LCFF) than TK or pre-K for all. Thank you, Seth, for bringing attention to this important issue. Early Edge California has worked to expand quality early learning opportunities for all 4 year olds. Until that happens, however, California school districts have an opportunity to offer Expanded TK (“ETK”) so that more children can prepare for success in kindergarten. Last summer, the state essentially offered to meet districts part way, committing to pay ADA, after the 5th birthday, for any non-entitled child to be enrolled in a full year of TK. As they consider this good option, districts will face classroom capacity and other resource challenges, to be sure. But they also have to look at the long term returns on investment on quality prekindergarten, which come in the form of fewer referrals to Special Education, less grade retention, and higher graduation rates, to name just a few.